Just when Della feels like she's starting to figure out her life, she finds herself reborn…and her new existence comes with a whole different rulebook. Della's secret powers always made her feel like an outsider in the human world. 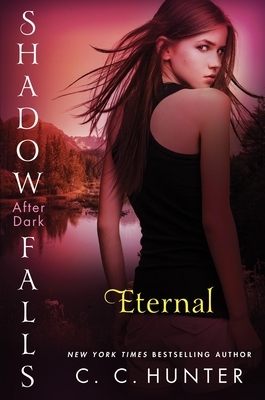 Now, just when she's starting to feel like she belongs—at Shadow Falls, a camp for teens with paranormal powers—her life is turned upside down all over again. Attacked by a deadly virus, she must make the difficult choice to be reborn. It's her only chance at survival, but it comes with a price: It irreparably bonds her to Chase, a tall, dark and mesmerizing vampire who makes her laugh one minute and infuriates her the next. Chase already knows too many of Della's secrets, and being eternally bonded to him is the last thing she wants. Even worse, she doesn't fully understand what their bond means. Is the attraction she's started feeling for Chase real—or does fate have something else in store? And what does that mean for Steve, the hot shapeshifter whose kisses make her weak in the knees? Now Della's battered heart is about to take another hit. While investigating her latest case, she discovers shocking evidence about her father's dark past, making her question everything she believes to be true…and her place in the world she loves.